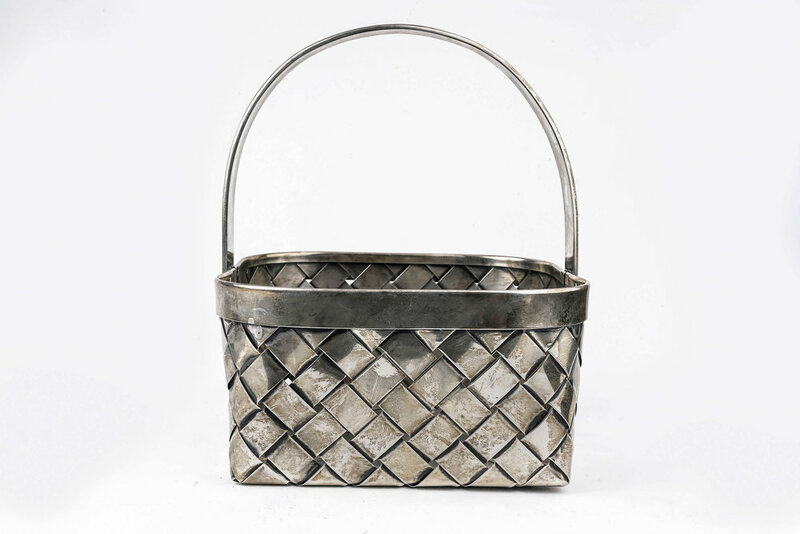 Antique Cartier sterling silver weaved basket. 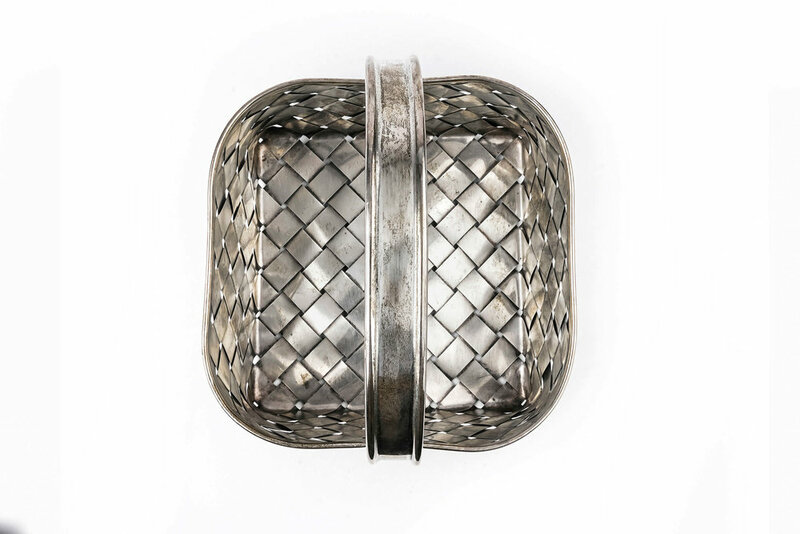 A beautiful antique Cartier Sterling silver weaved basket. Width is 6 inches. 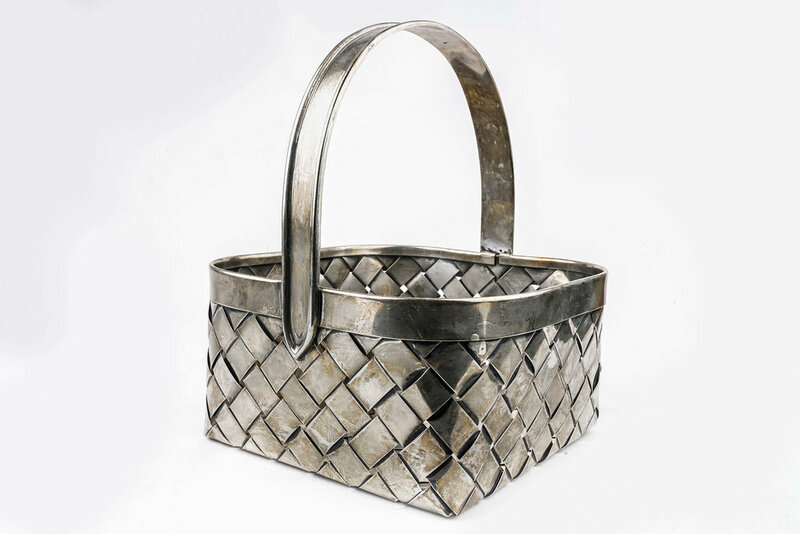 Height with handle is 7 inches.